Two years ago we were presented a plaque for having a Maryland State Champion Catalpa speciosa on our property. 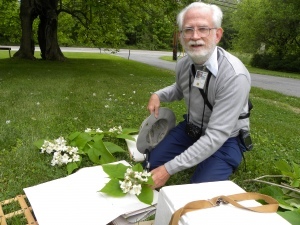 Today, Joe Kirkbride (the taxonomist with the National Arboretum) came by to collect seeds for hybridization at the arboretum. 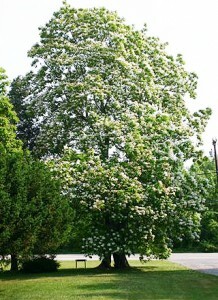 As beautiful, unique and sweet-smelling we always knew this magnificent tree to be; turns out that the arboretum is hybridizing this tree with a Chinese species in an attempt to develop an urban street tree! 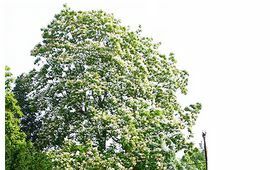 During this time of year I always stop along the drive out of our office to inhale the incredible aroma from our Champion Catalpa. If you are not familiar with this tree it will be one of your favorites in the future.